The windows are now being fitted and the fence has come down at the front. 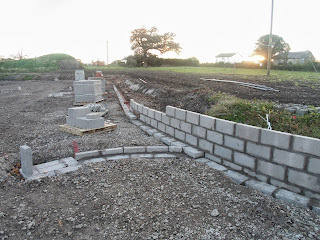 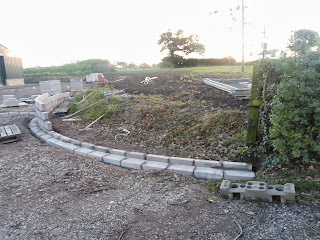 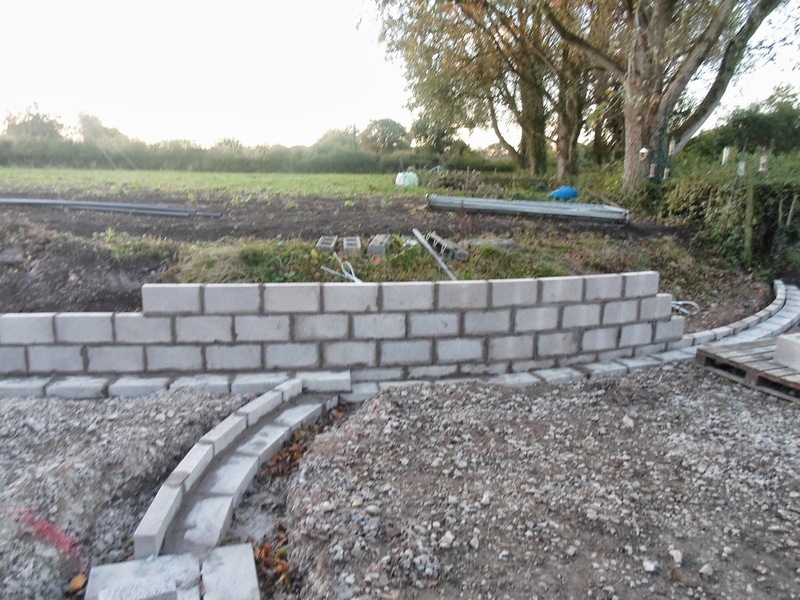 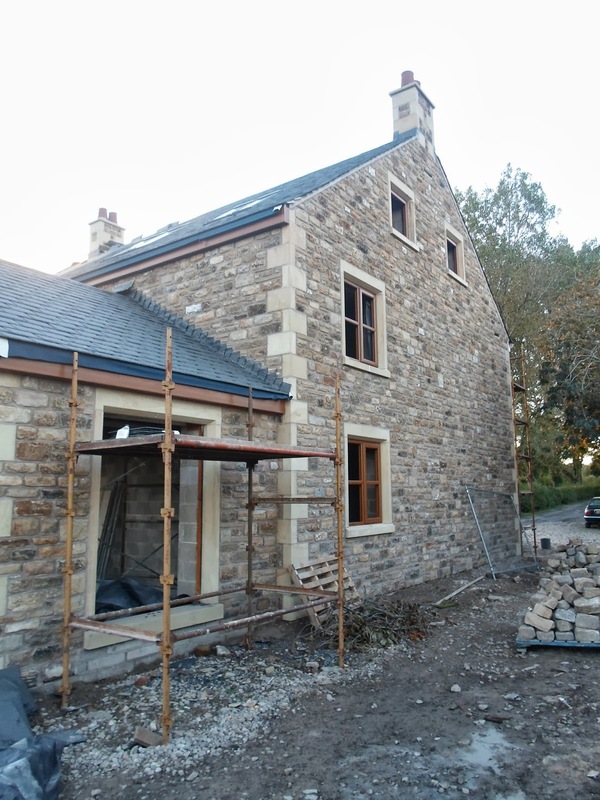 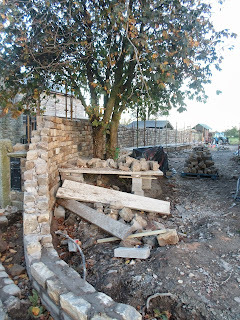 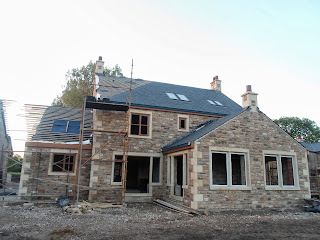 The stone wall at the side of the house is almost finished now and looks very impressive. 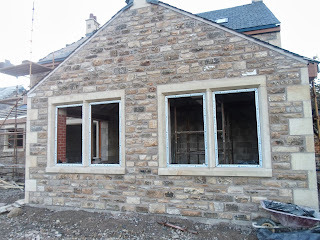 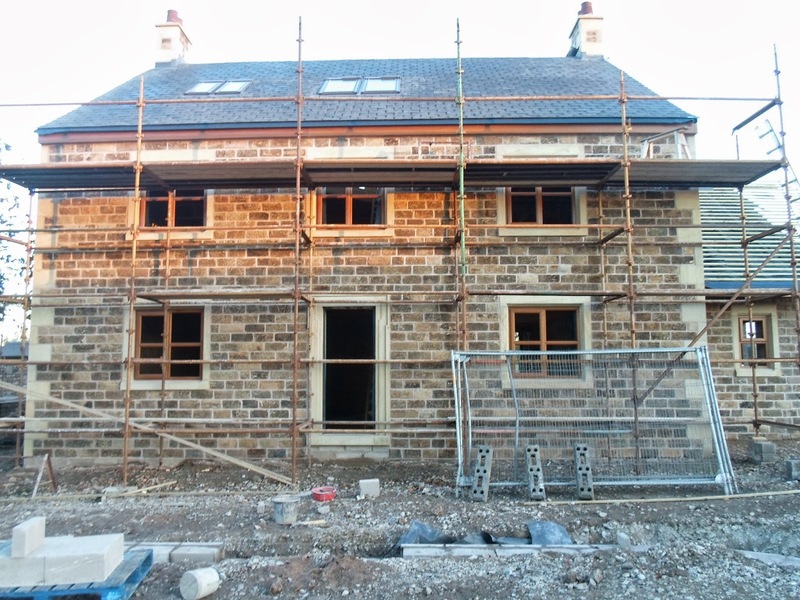 This is the back of the house just before the windows were fitted.